Total Resource Value over $1.6 Billion Dollars U.S. (based on $1300 Gold Spot). 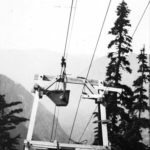 Historically, the easiest approach to the mine was from Chilliwack, B.C., Canada, by following logging roads leading south along Slesse Creek (Silesia Creek in U.S.) to milepost 54. From the milepost, an overgrown trail ascends a cleaver between two avalanche chutes to the mine. 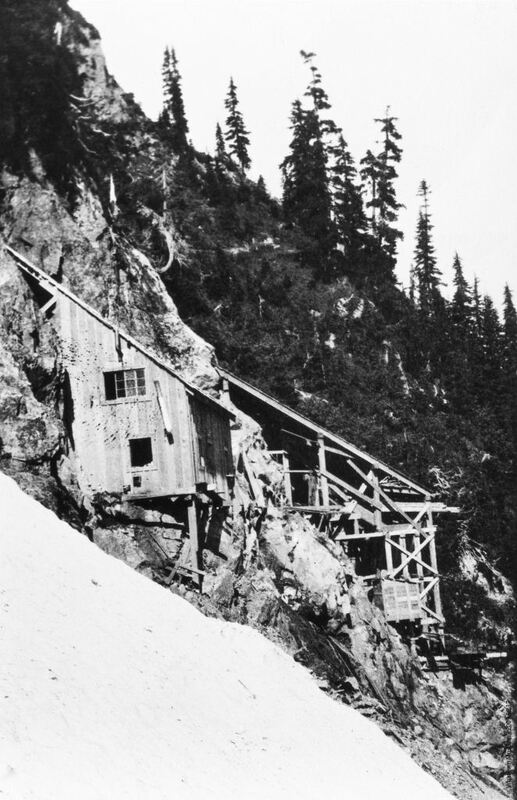 From the U.S. side of the border, the mine can be reached from a gravel road off of Mount Baker Hwy 542. This road currently leads to the nearby Lone Jack Mine and ends at Twin Lakes. The Twin Lakes area was historically used as a staging area for nearby mines included The Boundary Red Mountain Mine, The Lone Jack Mine, The Gargett Mine, and the Gold Basin Mine. 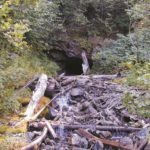 The Boundary Red Mountain Mine can be reached by following a foot trail from Skagway Pass near Twin Lakes, descending Winchester Creek to Silesia Creek, proceeding north to a point near milepost 55 and ascending 2000 feet through forest to the mine. 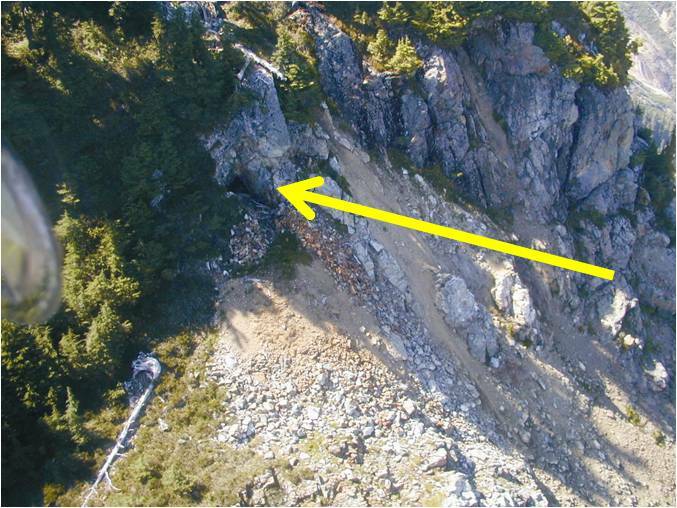 For access by air, waste rock dumps at 4050- and 4707-foot elevations can accommodate a small helicopter. 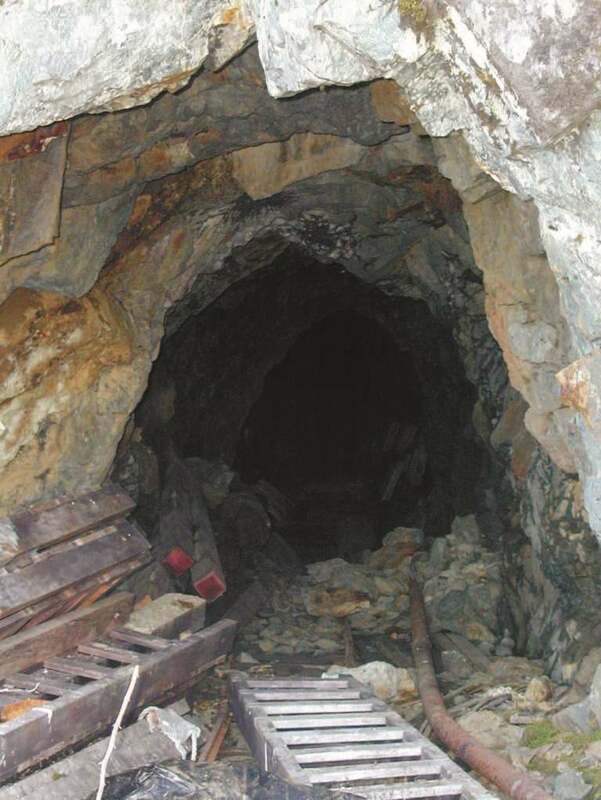 The Boundary Red Mountain Gold Mine includes full legal title of approximately 94.5 acres of mineral rich land with 6 contiguous patented lode claims and mill sites including the Rocky draw lode, Klondike lode, Mountain Boy Lode, Glacier Lode, Climax lode, & Climax Ext No. 1 lode. 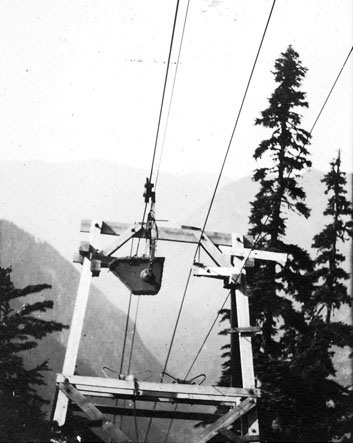 Located in Whatcom County, Washington, U.S.A., the mine is approximately ½ mile south of the Canadian Border. It is within close approximation of the currently active Lone Jack Mine. The Mine development consists of 4 adit levels and 5 sublevels over a vertical range of 1050 feet. 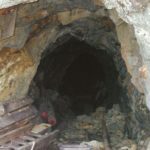 Total underground development is approximately 8,900 feet of drift and crosscut and at least 2000 feet of connecting raises and ore passes. The veins of the Boundary Red Mountain Gold Mine group occur as five disconnected quartz fissure veins in the metamorphic Yellow Aster Complex of Devonian age. The host rocks consist of amphibole schist and a fine-grained metadiorite containing hornblende. Disseminations of pyrite occurs in both units. Moen (1969) reported that the gold-bearing veins “. . . appear to have been formed during two stages of mineralization. 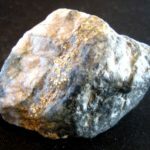 During the initial stage, fractures in the rock were filled with quartz containing small amounts of iron sulfides, and chalcopyrite. 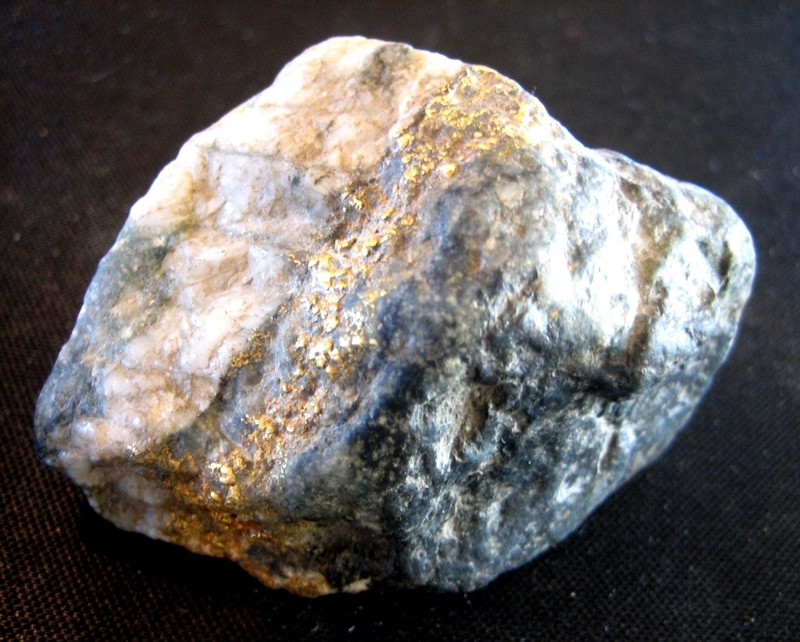 Later, recurrent movement along the veins produced microbrecciation of the quartz permitting hydrothermal solutions containing pyrite, pyrrhotite, chalcopyrite, free gold and tellurobismuthite to infiltrate partings in the quartz fissure.” The main ore mineral is native gold alloyed with minor amounts of silver. This is the same mineral assemblage and paragenesis found at the nearby Lone Jack mine. It is interesting to note that the Lone Jack Mine is currently in active production. The brecciated zones contain distinctive wavy brown bands of iron oxide in otherwise vitreous milky quartz. Most of the gold is so fine-grained as to be invisible to the unaided eye. However, Krom (1937) reported gold occurring in sheets as much as 1 inch square by approximately 1 micron thick, filling thin fractures in the quartz. 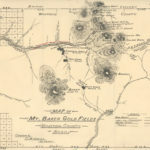 Five veins of the Patented Gold Mine were discovered on or near the Boundary Red Mountain claims. Of the five veins four have been identified as the Red Mountain vein, Gold Basin vein, Mountain Boy vein, and the Glacier vein (Krom, 1937). To date only the Red Mountain Vein has been mined. It can be traced along strike, insofar as topography permits, for more than 1500 feet. It strikes northeast, with dips ranging from 58 to 70 degrees southeast. Chaney (1992) reported, “The quartz veins occupy a series of en echelon tensional gashes within the brittle metadiorite. The veins have an orientation of N30E to N50E with near vertical dips and a pinch and swell character. Some of the veins are terminated by faults, others die out in breccia zones and still others pinch out in the country rock.” It should be noted that thickness varies from a thin shear at points to 10 feet in width in the space of a few feet along strike. The pinching and swelling of the fissure veins underground corroborates what is seen on the surface. The relationship of the veins to each other and to various levels is shown in Figure 2. The quartz fissure vein cropping out on the southeast skyline above the 500 Level portal is probably the Mountain Boy vein (Fig. 3) described by Krom (1937). It is at the approximate location of his point EE1 on plate 3 (DGER mine file). 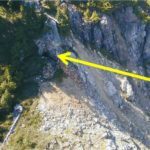 A short drift was driven on this outcrop and a 3-foot deep by 200-foot long trench extends to the east before disappearing in a cliff. 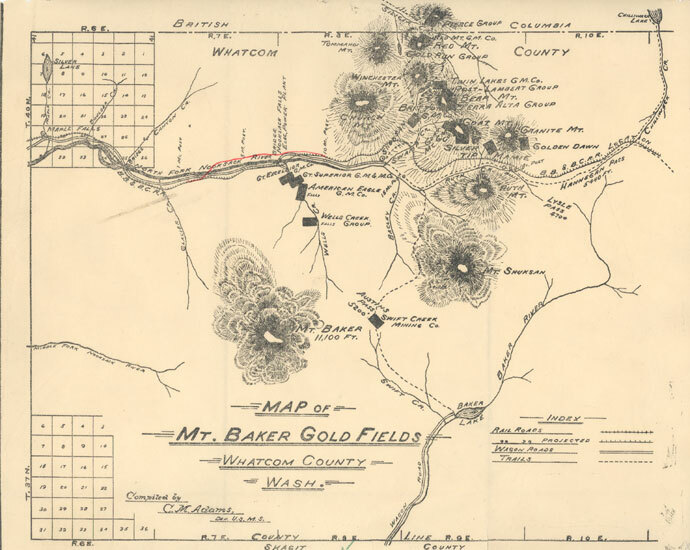 In 1992, Richard L. Chaney of Western Washington University submitted a thesis entitled “A study of Gold Mineralization at the Boundary Red Mountain Mine, Whatcom County, Washington”. His report concluded that “Data from the Lone Jack mine, with a similar style of mineralization, are consistent with the data from the Boundary Red Mountain mine” suggesting geologic continuity in the quartz fissure veins. The Lone Jack Gold Mine is located approximately 2.75 miles away. It is from this report that extralateral rights are estimated. 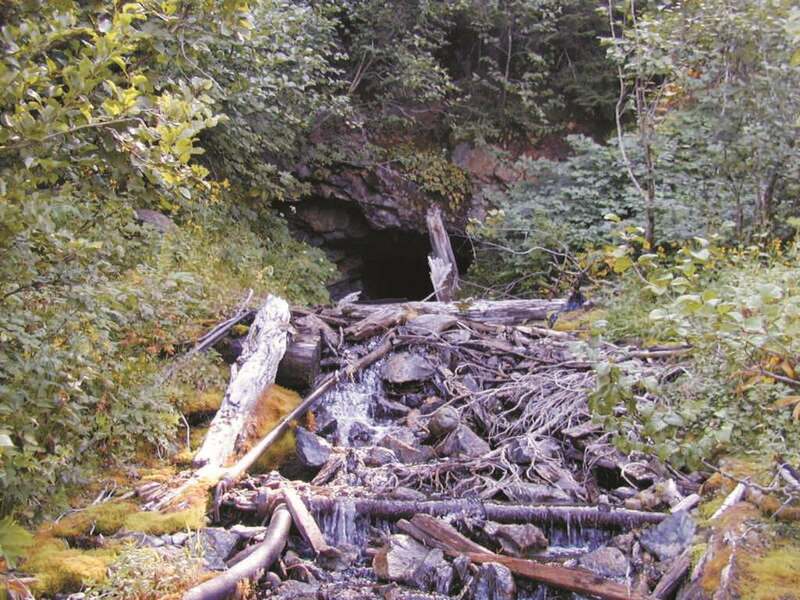 Additionally, other Gold Mines adjacent to the Boundary Red Mountain Gold Mine may be available for sale. C.W. Both and associates discovered the Red Mountain vein in 1897 and staked it the following year. The claims were recorded. 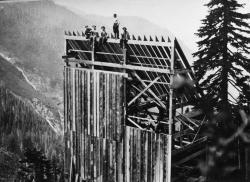 Elmon Scott, a Washington State Supreme Court justice, took an interest in the mine and organized the Red Mountain Gold Mining Co., which acquired title to the claims and started work in 1902. 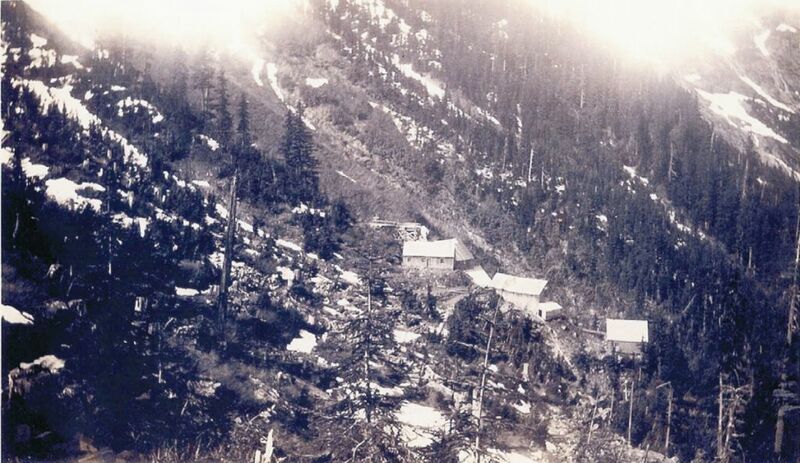 In 1907, the Boundary Red Mountain Mining Co. assumed title to the property. A five-stamp mercury amalgamation mill was constructed in October of 1914. 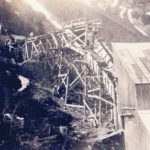 The following year, George Wingfield and associates of Goldfield Consolidated Mining Co. leased the mine and upgraded the mill to 60 tons/day with ten stamps, installed a water-driven Hendy-Francis turbine power plant on Silesia Creek, and generally improved the infrastructure. World War II interrupted the flow of men and materials, but mining continued at a slower pace. 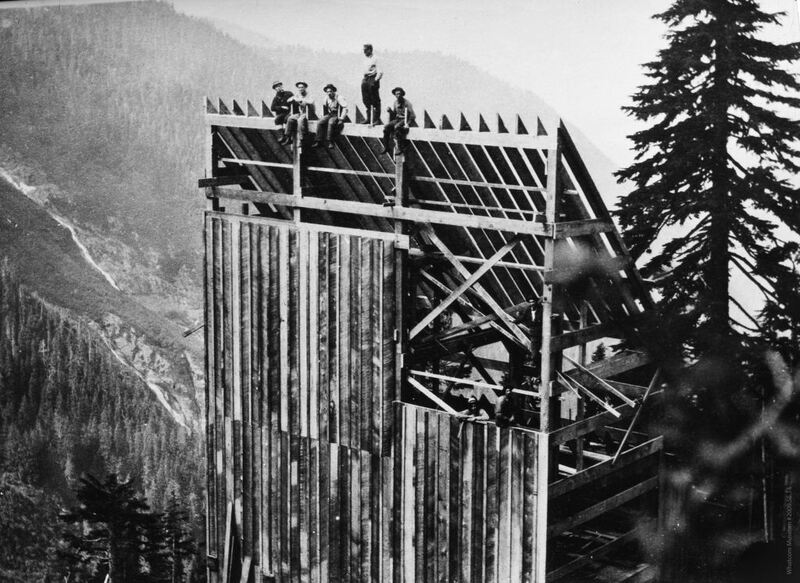 Work continued in stopes above the 500 Level until 1923, at which time a crosscut known as the 1200 Level was begun from the mill site. Krom (1937) reported, “In March, 1925 . . . the [RedMountain] vein was struck 2200 feet from the portal. It proved to be merely a narrow stringer, two inches to eight inches wide. An inclined raise was carried southward in the plane of the vein to the 500 Level. 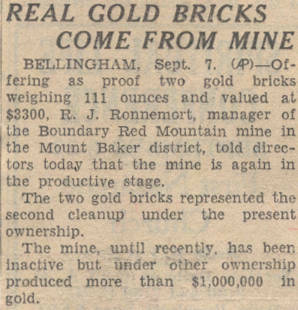 After many delays the 500 Level was reached, with commercial ore showing some 200 feet below this level.” In 1935 International Gold Mines Ltd., a Canadian company, was organized for the purpose of acquiring the Boundary Red Mountain Mine and equipment along with a nearby group of claims. 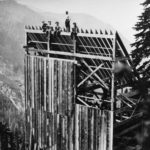 In 1944 Tom Bourn of Bellingham purchased the mine and started a rehabilitation program. 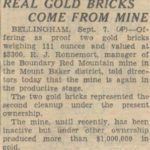 Mr. Bourn leased the property to Bert Boyer of Bellingham, Washington and then leased the property in 1960 to the Red Mountain Mining Company. Bourn willed the patented land to John P. Wiatrak, a geologist who had formerly worked with him at the mine. 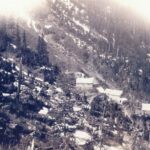 Solo International Resources Ltd. of Vancouver, B.C., entered into a lease and option agreement based on an examination done by A. R. Grant in 1987 (DGER mine file). 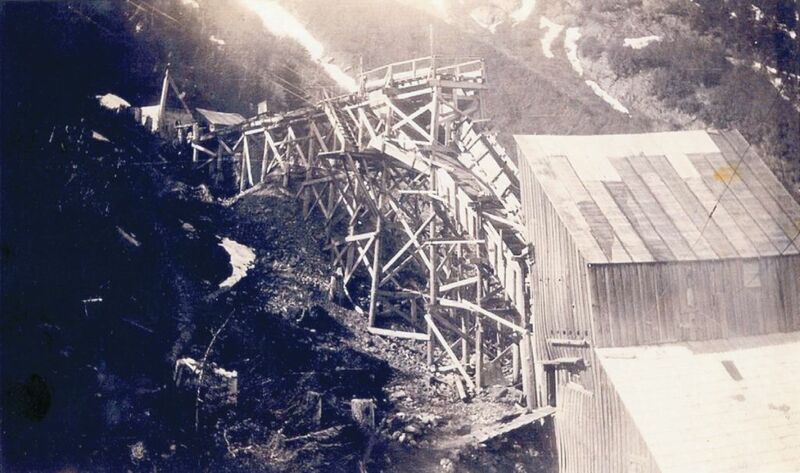 Grant later issued an amended report after spending the 1988 summer season at the mine. Grant’s examination appears to be the last comprehensive sampling and estimate of remaining ore reserves. Grant and Beach (1989) traced the Red Mountain vein 1500 feet south of a point directly above the southernmost 500 Level heading. “Here, . 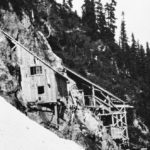 . . it disappears under a small hanging glacier at the 6940 foot elevation.” A 15-foot chip sample taken at this point assayed 1.066 ounces per ton gold. Additionally, according to the December 1987 report by A.R. Grant of the 119 Assay samples, sample number RM-115 “from a 1.5” pyrite-pyrrhotite veinlet yielded a surprising value of 15.93 o/t Au. An executive summary is available upon request. The Boundary Red Mountain camp site and mill.